Developed by JetBrains in July 2011, Project Kotlin can be described as a new language specially designed for JVM and according to Dmitry Jemerov, the main focus of this language is to compile commands as fast as Java. During February 2012, this company open-sourced this project under Apache 2 license and since then, this language has become very popular with programmers throughout the world. As the number of the people who want to learn this language continues to increase, more and more books related to the topic are becoming available in the market. Why Are Android Developers Using It? There are many reasons why Android developers using it, for example, this language is originated from experienced programmers who have worked for many years in the industry and used to find solutions. Further, it is open-source software that enables the programmer to cut the cost. Not only have that, this software is compatible with Java binary language and offers a high-quality one-clicked Java to Kotlin converter tool. In addition, a programmer can save time as the Kotlin programs can use all existing Java frameworks and libraries for programming. It is also possible for a programmer who can start work after learning the software in few hours. What Are The Best Books To Learn Kotlin? 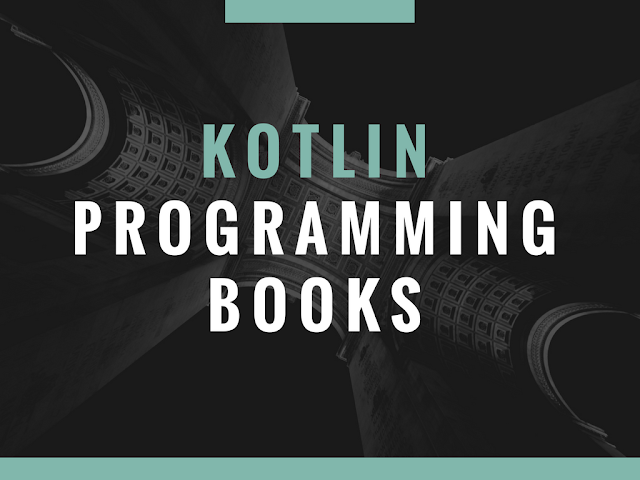 Books have become the best medium for learning any programming language such as Kotin. There are many books on the market available for students as well as expert programmers who would like to get a good reference book. Some of these books are as follows. Targeted towards the experienced programmers, this book covers extensive topics that range from the basics of the language to building of the applications. Authored by experienced core developers, some features of this book include hands-on examples and teach how to build Android applications. Some other features include higher-level functions, building reusable abstractions and libraries. The main focus of this book is on the application of language in any real-world situation, for example, concurrent programming, and Android support and build system integration. If you are interested in the theoretical aspect of the language, this book remains the best choice for you. Targeted towards both core developers and the students who are learning the language, this book offers extensive information from basic to advanced steps of the language. Not only that, this book also offers a lot of information related to Java. Further, the book also offers extensive information about various important aspects and other features required for programming in the language. The writer also offers extensive examples with notes and codes. If you are looking for a new job in android programming for the best job, you just need to learn Kotlin, a language recommended by both JetBrains and Google, All you need to do for this purpose is to get this book and download the free software from the internet. This book offers all innovative features of the language in a funny and new way. A practical book, it offers guidelines with code and examples for the experienced programmer who wants to learn this software in an easy way. If you want a thorough introduction to Kotlin, this book remains the best choice for you. If you know Java code intimately, even then this book remains the best choice for you as it uses Java code when teaching Kolin. Further, with this book, you can get a complete overview of generics, null safety, and many other interesting features. Primarily targeted towards the Java developers who would like to learn an alternative JVM language, this book offers information about the full set of features in this programming. Today, the application development is not just limited to the building of the better performing applications, it is necessary to find various ways improving code writing. An amazing language, Kotlin offers an effective and easy way to build amazing Android applications. In this book, the author leverages some specific features of Kotlin for easy development of the Android application. Further, it becomes easy to write code based both functional and object-oriented programming for building a robust application. Learning a new language entails a lot of effort, time and training, but with Kotlin, all you have to do is the download the programming software available free on the internet and purchase a good book from an online website or the market. If you possess a good knowledge of Java, you can learn this software in few days and start the development of your chosen Android application.